Bitcoin. The name invokes reactions of interest, speculation and curiosity. As someone interested in iOS development and computer science, it has been hard to resist exploring the technology and how it works. It is fascinating that even though crypto-currencies like Bitcoin are seen as new solutions, their design is based on a few concepts based in computer science. For this introductory article on Bitcoin, we'll review its core technology - known as a Blockchain, in Swift. In traditional commerce, Banks act as the coordinator and trusted authority for financial transactions. As a result, if person A wants to send or receive funds with person B, the exchange must be authorized by the Bank before any action takes place. Assuming the exchange is authorized, the Bank will facilitate the exchange and record the transaction in its books - otherwise called a private ledger. One reason for the Bank's success is accountability. Meaning, if any dispute over a transaction occurs, either person A or B can contact the Bank for more information. Another item to note is privacy. Even though persons A and B conduct business with the same Bank, neither party are permitted to view any transactions beyond their own. This representation provides an illustration of transactions that have occurred in our network. For each occurrence, a special data structure known as a Block is created and added to the list. Similar to a Linked List, Blockchains are initiated with a nil record often called the Genesis Block. Many features of crypto-currency networks are supported by our Peer class. Access to the public ledger is made possible with the chain array variable. Managed as a public property, this will be updated when new transactions get processed. When a Peer intends to exchange funds with others, the event is published (to the network) for Miners to fulfill. While it would be technically possible to encrypt just the Peer name, the algorithm also includes Date to reduce the likelihood of hash collisions. Register for this quick 3-part course designed to help you prepare for your next technical interview. 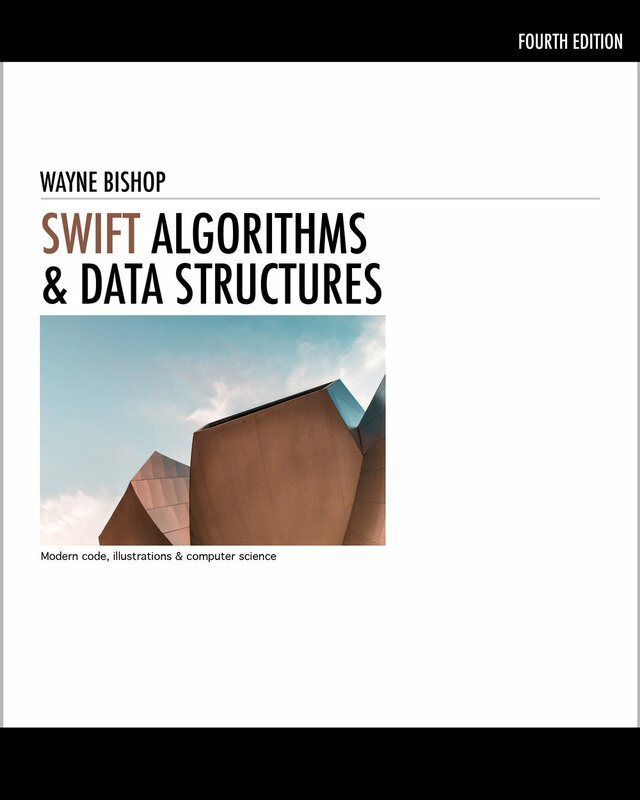 Learn more about Dynamic Programming, Big O Notation, Graphs and other popular topics with the latest Swift 5.0 Algorithms Book. © 2019 Wayne W Bishop. All Rights Reserved.